Based in Napa Valley, California for over 45 years, CF Napa is one of the worldwide leaders in alcohol beverage branding. Our 100% specialization within the category has made us experts. CF Napa has created hundreds of brands and restaged hundreds more with incredible success by maximizing the brand’s strategic positioning. Our solutions utilize strategies that leverage current marketplace opportunities and increasingly sophisticated consumer segments. We have an exceptional understanding of design that sells, complemented by professional account management and flawless production oversight. Our client success stories run the gamut—from growers and producers to retailers. We help our clients build brands that consistently garner both critical acclaim and a strong, measurable return on investment. One of the keys to building and launching a successful brand is the ability to break through the ever-growing crowd of competitors. Exceptional packaging design invites trial, reinforces quality and assists recall. As any experienced chef will tell you, the presentation of the food on the plate, the melody of colors in play and even the different textures of the food all have a significant impact on how we taste and appreciate our dining experience. The same is true for alcoholic beverages. The consumer’s perception of an alcoholic beverage—its color, aroma, and taste—is profoundly influenced by the bottle’s shape, package design and even the texture of the label. In testing, we’ve seen consumers detest the taste of a beverage if it came from a package design they didn’t like, and conversely have seen the exact same consumers love the taste of the same beverage when it came from a package design they found pleasing. Packaging that appeals to us beckons us to try a product, reinforces quality while we consume it, and enhances our ability to recall the brand for future repurchase. Thus, strategic packaging design is not just an aesthetic exercise, but a commercial necessity. Over the past 17 years, David Schuemann has led CF Napa Brand Design in becoming one of the world’s preeminent branding agencies specializing in the alcohol beverage category. During that time, CF Napa has created some of the fastest-growing and most successful alcohol brands in the world. The firm’s work has earned international recognition from almost every major design competition in the world and has been showcased in some of the most prestigious museums, including the Museum of Modern Art. CF Napa’s work is part of the permanent collection at the Cooper Hewitt Design Museum at the Smithsonian in New York City and the permanent collection of the American Design Archives at the Denver Art Museum. In 2013, Schuemann authored 99 Bottles of Wine, The Making of the Contemporary Wine Label. The book offers a rare behind-the-scenes look at how innovative creative packaging design at CF Napa drive some of today’s most successful wine brands while featuring 40+ years of design work from the firm. David serves on the advisory board for Women of the Vine as well as Artisan Spirit Mag, where he is considered a thought leader in branding for the burgeoning craft spirits industry. In addition to his involvement in a variety of industry organizations, David speaks regularly about strategic branding and design at conferences worldwide (Download David’s Speaker Résumé). K-Tel Records and later Carlson Marketing Group—one of the largest ad agencies in the world. Early in his career, David fell in love with wine while working at many restaurants as a wine trainer and server and became an avid personal collector. 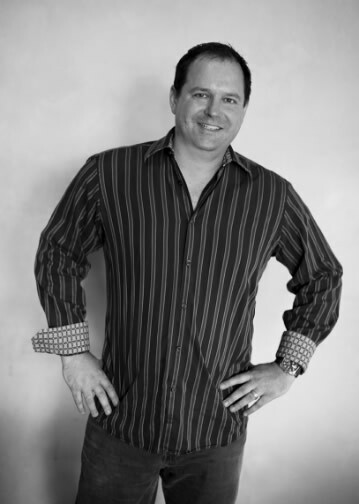 In 2000 Schuemann moved to San Francisco and joined Addison Branding as its Design Director. There he oversaw packaging and large corporate identity projects, including the complete rebranding of Hawaiian Airlines and its fleet of airplanes. Soon thereafter, Schuemann found the perfect marriage of his passions for the alcohol beverage industry and design, becoming the Creative Director for CF Napa Brand Design. A few years later, he purchased the firm to build what is now one of the most respected brand design firms in the alcohol category. CF Napa’s team brings decades of combined experience in alcoholic beverage design and marketing services. Each designer brings their own unique style to our projects culminating in a wide range of design perspectives for our clients. Our account team brings client service and agency experience to every project and acts as a single point of contact for client communication, written meeting recaps, accurate timelines and overall project strategy. In addition, our account team acts as our clients’ resource expert; recommending best-in-class vendors from our network and assisting in gathering print quotes to ensure exceptional results within the target cost of goods. Our production department brings over a decade of experience developing exceptional print-ready artwork, application and technical know-how that allows for flawless production. Each team member’s unique background contributes to our projects, resulting in an inspired collaboration tailored to each of our client’s individual needs. “We came to CF Napa with very high expectations, yet I'm happy to say that they still somehow managed to completely blow us away. The results speak for themselves through the universal and overwhelming “wow!” reaction we get to our packaging. I've spent a lot of time looking at our bottle and I'm still stunned by just how good it really is and how well it captures the image we want to present as a brand. It's a testament to CF Napa's professionalism, knowledge, creativity, attention to detail and pure unabated awesomeness that allowed them to take the jumble of ideas we threw at them and turn that into something better than I (or anyone else) could have imagined. “One of the many reasons I chose CF Napa was their incredible attention to detail in the final execution of the labeling and packaging… A unique and memorable creative design is critical but it’s the final execution with paper texture, bottle shape, embossing and all the other subtleties necessary that create the difference between great and average. “When you make changes to a 1.8 million case brand you want to make sure you maintain and expand your primary base. CF Napa creatively utilized the Fetzer equities while increasing the core messaging and quality cues of the brand. The creativity behind their solution truly stands-out. Not only did they create a successful new package, it was accomplished from design to bottling line in 3 months with their team working remotely with ours in Chile. Impressive work all the way around. With a 1.8 million case brand, production efficiency is a key factor in the bottom-line. “There are several tempting design agencies and portfolios out there. Every year the competition is keener. Yet CF Napa stands apart with many winning seasons, a deep bullpen and a very savvy manager. They work fast, and their splendid crew develops several winning designs to choose from—with no lead ups or “straw men.” Dave Schuemann is talented and driven. He often functions as our brand psychiatrist. He knows how to listen, what questions to ask. He understands the wine business, the categories, the trends. He gives it to you straight. In the end, we walk out of there with more than a powerful package. We get a keener, deeper product narrative, too. The best part of our CF Napa experience is showing their labels to our sales force. The buzz in the room becomes irrepressible and forces a premature coffee break. Some reach for the bottle mockup (DON’T TOUCH THAT! ), others their cell phones. They can’t wait to show their new package to their distributor, the trade. What’s that worth?